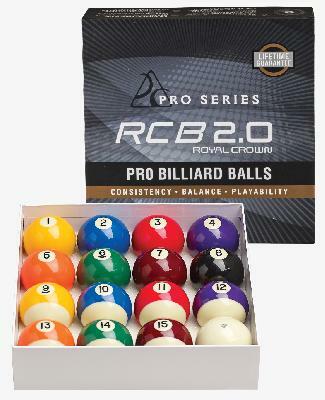 The Pro Series RCB 2.0 Professional billiard balls are for players who are looking to refresh their game rooms with great quality balls that will last for years to come. This set has a Lifetime Warranty for home use. They are sold with the standard 2-1/4" cue ball, If you require a magnetic or weighted cue ball please choose under the "Cueball" options tab.